Hello, my name is Kexun Ge of KGE Reeds and today I would like to introduce to you, a new way to tie on a gouged and shaped piece of oboe cane to a brass tube. To do this, I will use three pieces of brass wire ring, which we have named the K.GE Oboe reed ligature. The advantages of using this new K.GE oboe reed tying on method are several. Firstly, you are able to have the perfect result almost every time. It’s very simple and easy to learn and you will find that after you scrape the cane, the reed is easy to play and quicker to respond with less cane taken off compared to thread binding. The traditional thread tying on method has a down side and that is that the thread disturbs the vibrating of the brass tube. Another advantage of the new K.GE tying method also allows you to change the already scraped reed to other staples much easier than with thread. Very soon you will be able to purchase scraped oboe reeds without the brass tube from our website and you can attach them yourself to your own staple or tube! You can also tie onto any tube you like and at any length as you wish. It is only very recently we at KGE sourced this soft and strong brass wire that makes this new way of tying on possible. The quality of this brass wire is that it is soft like thread and also quite strong and not easily broken. Additionally, the K.GE reed sealing tape plays an important role in this tying on method. You will be able to purchase the K.GE oboe Reed Ligatures and the K.GE Oboe reed sealing tape from our website very soon! "Japanese online shop is now open"
About 8 years ago, K.GE REEDS made and developed an oboe with the "AW" Logo ("Armstrong Ward" oboe) and subsequently we discontinued the "AW" logo and we changed that same oboe brand name to the K.GE Oboe which is the exact same oboe that we manufacture and market to this day. This oboe is 100% made in our K.GE Shanghai workshop and tuned and tested there. Paulownia wood has been used for boxes and furniture in Japan of many centuries. Paulownia boxes are famous for controlling humidity and protecting and preserving valuables such as delicate antique kimonos, drawings and other delicate art crafts over long periods of time. Talented designer, Masanori Wakiya of ATZOOM Inc. has created a brilliant and innovative humidity control system that is very simple yet effective. 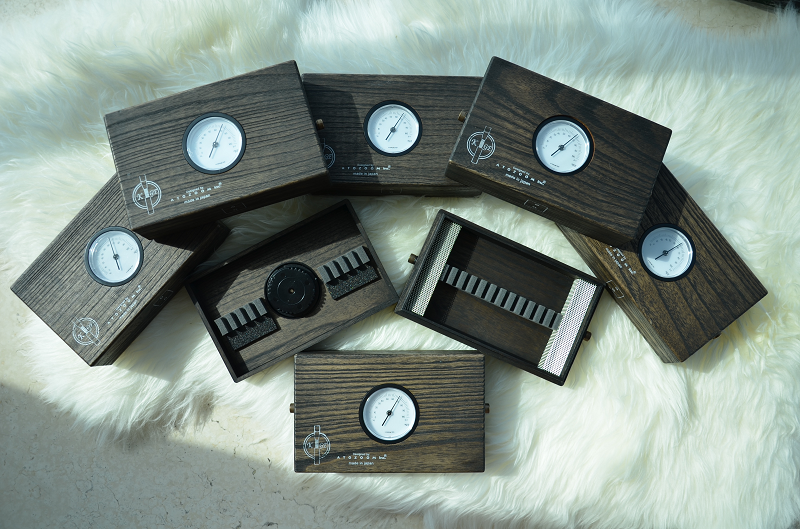 Theses boxes are hand made by Japanese Artisans and assembled in a Japanese factory using specialized tools. These sophisticated boxes are made in a meticulous manner that Japanese craftsman are famous for.